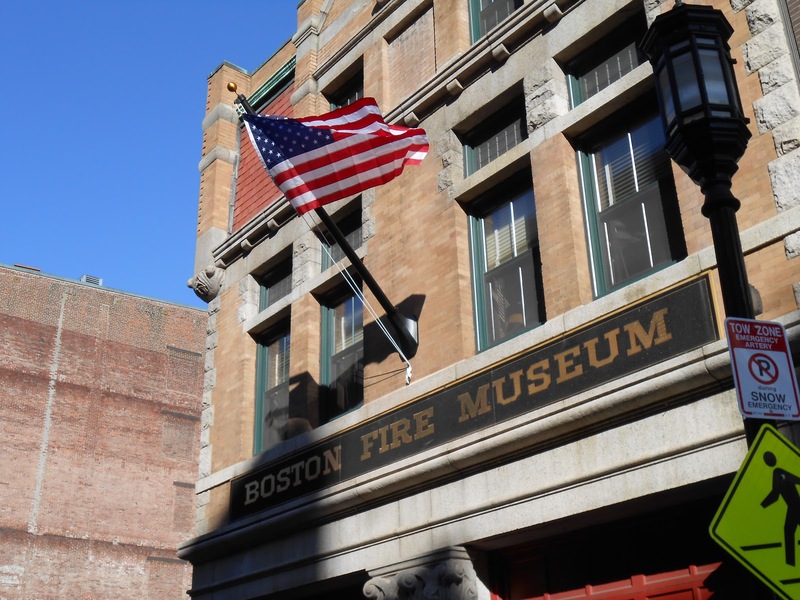 The Boston Fire Museum has started flying the American flag. Hat tip to Dan O'Neill for the photo. Superstorm Sandy was a stunning wake-up call for coastal communities in the Northeast, even those such as Boston that escaped the worst of the storm's impact. As New York governor Andrew Cuomo said, "Part of learning from this is the recognition that climate change is a reality, extreme weather is a reality … There’s only so long you can say, ‘This is once in a lifetime and it’s not going to happen again.’"
Please join TBHA's trustees, staff and members at our annual meeting on November 27th from 5 to 7 pm at the law offices of Bingham, One Federal Street, Boston (nearest T station: South Street). Bingham is generously providing refreshments. After a social hour and a brief business meeting, TBHA's president Vivien Li, and UNH professor Dr. Paul Kirshen will lead a discussion of the current science behind sea level rise, what we can expect over the next century, and what can be done to make Boston's waterfront and downtown more resilent to coastal flooding. Please note that Hurricane Sandy did postpone TBHA's board meeting where we would have voted on our annual awards; they will instead be given out at our fundraiser in April. Space is limited, so please RSVP early. We hope to see you there! This the new building under construction across from One Marina Park Drive. The Boston Innovation Center, scheduled to be built in 2013, in the Seaport District, is holding a Community Meeting to present their plans for digital signage along the perimeter of their building. Subject of the hearing will be applications for Certificates of Design Approval on the agenda below, reviews of architectural violations, and such businesses as may come before the commission, in accordance with Chapter 772 of the Acts of 1975, as amended. Applications are available for public inspection during normal business hours at the office of the Environment Department. Sign language interpreters are available upon request. Please ensure that all electronic devices are silenced prior to entering the hearing room. After 5:30 p.m., enter and exit City Hall at the Dock Square entrance on Congress Street (across from Faneuil Hall). 320 Summer Street: Removal of a fire escape. Martin H. Dykas, Designer: Alteration of a previously approved plan to construct a stair head house to make the head house larger by increasing its width. Brian S. Grossman, Prince, Lobel, representing T-Mobile Northeast LLC: Installation of telecommunications equipment including an antenna in a new faux vent pipe which will match existing faux vent pipes; remote radio head units at the base of existing and proposed faux vent pipes; an equipment cabinet on an existing equipment platform; and additional cabling.